Patch Theatre Company has a diverse repertoire of acclaimed, tour-ready productions for 4 to 8 year olds and their families. Based in Adelaide, South Australia, Patch has presented over 100 new productions to more than 1.8 million children and their families since 1972. 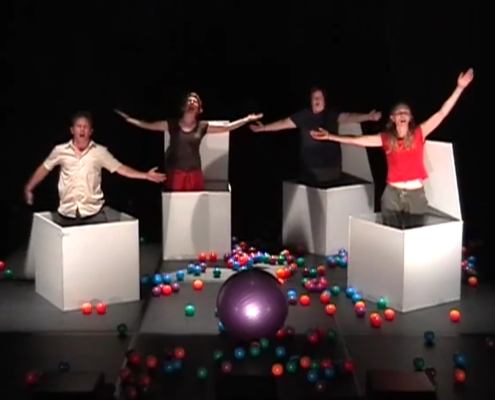 Patch Theatre Company has presented 9 of its repertoire productions, in more than 30 international seasons, to children’s festivals and venues in the USA, Canada, China, Singapore, Korea, Japan, Hong Kong and New Zealand. while touring extensively at home in Australia. Well-known and beloved Patch productions include Me and My Shadow, The Moon’s a Balloon, and Emily Loves to Bounce. A new work, ZOOM, premieres in 2019. 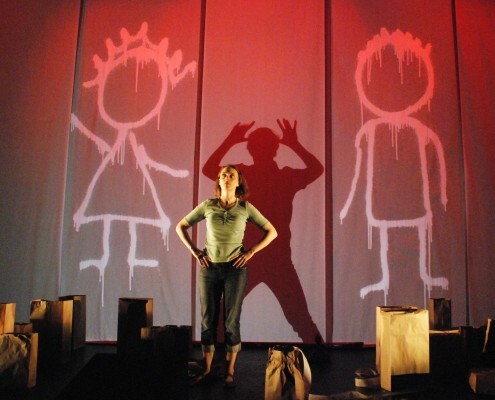 Inspired by Crocket Johnson’s much loved, never-out-of-print book Harold and the Purple Crayon, Patch Theatre’s ZOOM follows the premise that through human endeavour and imagination we can invent the future, create our own place in the world, and solve problems. Imagine if you decided to go and play with your dog in the park in the moonlight, but there is no park, no dog and indeed no moonlight; all you have is yourself and a crayon! Like Harold we play with the idea that we can find our place in the world simply by imagining it; we draw ourselves through our story. ZOOM explores perspective in all its meanings. The audience will be immersed in a lighting playground and will participate in building a unique world as we animate the space around them. Inspired by three of the most loved books by Stephen Michael King, Emily Loves to Bounce creates a whimsical world full of balls and boxes, where amazing ideas express themselves in extraordinary ways. Follow carefree Henry and practical Amy as they turn the world upside down and right way round, and learn that working together in spite of their differences brings out the best in everyone. A balloon can be anything you want it to be. A balloon can be a friend to play with or a maker of friendships. It can hold its breath for days and disappear in an instant. It can make your hair stand on end and fill you with laughter. A balloon can be something loved or something lost; something shared or something broken. Exploration, play and invention are at the heart of the way children make friends. 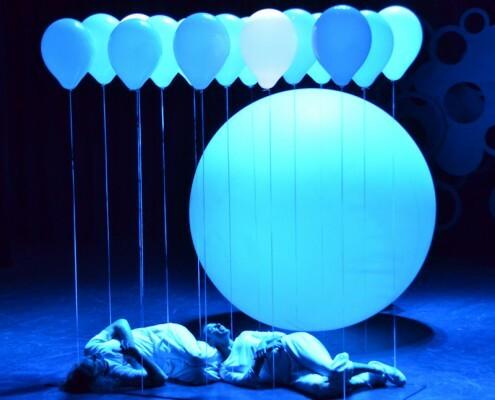 The Moon’s A Balloon celebrates balloons, play and friendship in a visual-theatre feast of music, dance, light and play.